How to Build a Home, Step 16: Sign Contracts- Armchair Builder :: Blog :: Build, renovate, & repair your own home. Save money as an owner builder. Today we continue our blog series, How to Build a Home. This is step 16, signing contracts with the different trades and suppliers. If you’ve missed the previous fifteen steps, stop by our blog to get caught up. So at this point in the process, you’ve selected the trades and suppliers to build your dream home and negotiated a final price with them. It’s time to finalize the agreement by reviewing and signing the contract documents. This step in the new home building process is critical to minimize hassles, rework and extra costs. There are three major components to the contract package you will have for each company performing work or supplying material for your new home. Contract – This document ties together all of the pieces and should clearly establish the agreement between you and the companies you are hiring. Check out our previous post, Attorney Review of Contract for more details. House Plan – This is the same exact plan you included in your bid packages…if it changes, make sure everyone knows. It should be an integral part of your contract package to give details about the work to be done. You may want to have each contractor sign and date the plan acknowledging receipt. Scopes of Work and Specifications – Include each separate activity scopes of work and specification with also the general scopes of work and specification. The activity specific version contains requirements for that individual type of work (example = roofing). The general scopes refer to job site procedures and requirements that apply to all companies working on your new home. Payment Details – Establish what you need to have completed in order to pay. Include details on typical timelines for payment. You don’t want them to call you everyday after the work is done looking for money. Warranty – Review your expectations for warranty coverage as noted in the contract. Schedule – Talk about the schedule and how it will be communicated. Let them know you cannot have missed schedule days. Insurance – Review the each company’s insurance documents and let them know absolutely no work will be allowed until full coverage per the contract is in place and you have copies of the coverage in your hands. Dollar Amount – Confirm the established price for the work and materials you are having them complete (or supply). Work to be Completed – Review details of your expectations as outlined in the scopes of work and specifications. Sure, they can read it themselves, but it’s a good idea to go through them to flush out any issues at contract signing. You don’t want any surprises. Changes – Your contract should clearly state what the procedures are for making changes to the contract. You don’t want a trade to add cost without giving you an opportunity to review them. 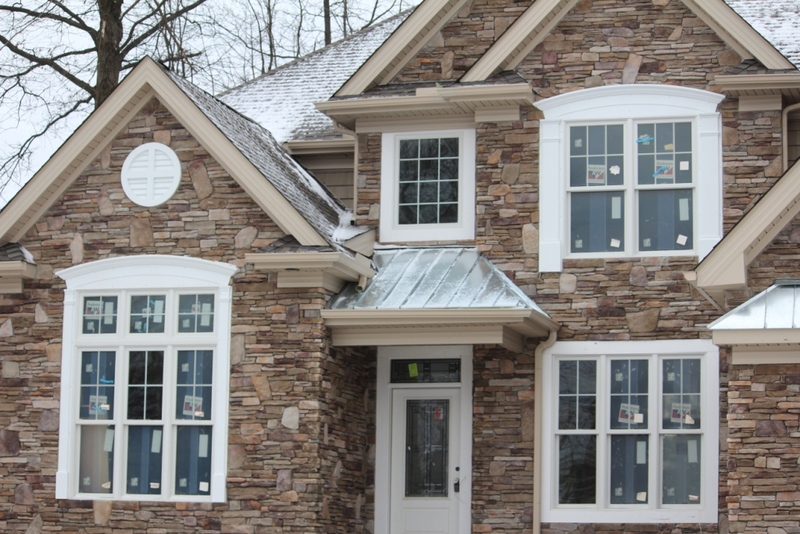 For example, you don’t want a foundation contractor to add additional stone without you first acknowledging it’s required and you have agreed on a price for the extra work and material. Keep in mind, this same procedure will apply to changes that you make. Make sure an authorized agent for the company signs and dates each document. It’s also a good idea to have them initial all pages that don’t have a signature. It sounds over-the-top, but you can’t be too careful. Be sure to give copies of the documents to each company you hire. You can scan and email them to save paper if you wish or just make a physical copy. Be sure to keep the originals for your records. As an owner builder, it’s a good idea to create a file for each activity for building your home. Create one for roofing, one for foundation, on for framing…etc. You will want these files easily accessible when a question comes up during the construction of your home. Remember, whatever the signed contract documents say is king so make sure they have everything in them you need. Include in each activity file the other bids you received as you never know when you might need to switch to another contractor. Doing a thorough job with your contracts will help you avoid problems and extra costs. So be sure to take the time to get the details right. To catch up on the previous steps on how to build a home, stop by our blog and type in the search box…How to Build a Home. << How Long to Build a Home?